Throughout the event there will be multiple opportunities to meet other like-minded professionals and exchange information about your business. It takes a network to build and grow a business. We provide forum for making those connections, and help you take them to the next level. In today's world, what are your potential customers going to see first: your web site, or your profile on one of the many online customer review and star rating portals? If you haven't asked yourself that question yet, you are far behind your competition. 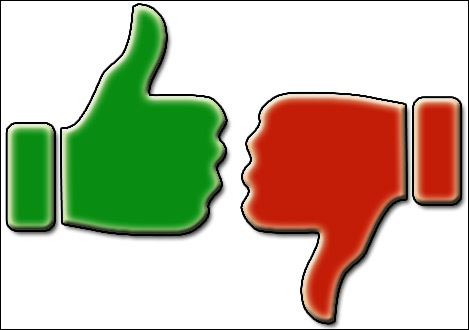 Online reviews have become extremely important for customer and prospects. They influence decisions about who we do business with, and where we spend our money. Star ratings follow you everywhere online. Join us for a seminar that will guide you through the process of managing your customer reviews. We will analyze best practices and ways to maximize your online ratings. We will discuss online reputation management as integral part of your existing marketing plan. Yelp, Facebook and Google are all competing for these reviews from our customers. At the minimum, you want to know how to manage them, and make sure they help your business. Find out more about Norbert Barszczewski. Staying on top of the latest technology is just as important as knowing what your online marketing do's and dont's should be. Experts from Microsoft will bring us insights into the latest from HoloLens headsets and Surface Products. 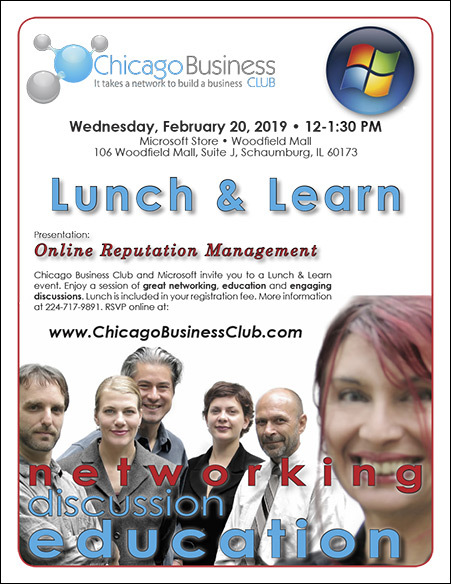 Be the first one to learn about events organized by Chicago Business Club. Don't miss the opportunity to network with motivated business owners and professionalss. Join Now! All event registration fees are non-refundable.